So a little while ago, I went to trusty old IKEA with a friend of mine and I may have bought far too much than my wallet would allow. Heading inside, I couldn't help but notice a trend that us women love to go to these places and act like a kid in a candy store browsing through endless interior goodness. In the mean time, the male goers look like they are entering the gates of hell and would prefer to be getting a very invasive prostate exam than bare the aisles of IKEA's finest. First on my list of must haves was a clothes rail. I don't have any drawers for clothes so I have to hang everything. This being said I don't have very much room in my wardrobe. 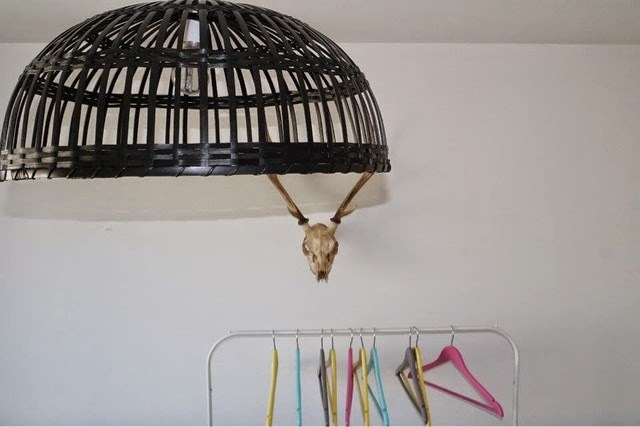 After searching through pages and pages of incredible Pinterest inspiration I came across lots of external stylist racks and knew I had to join in on that band wagon. At the base of the stylist rack, I have laid out some of my black footwear for all occassions and these are all placed on an IKEA faux fur sheepskin rug. This rug is so soft and now my little staffy puppy has claimed it as his bed when I'm doing my makeup. I'll forgive him though, cause he's a cutie. 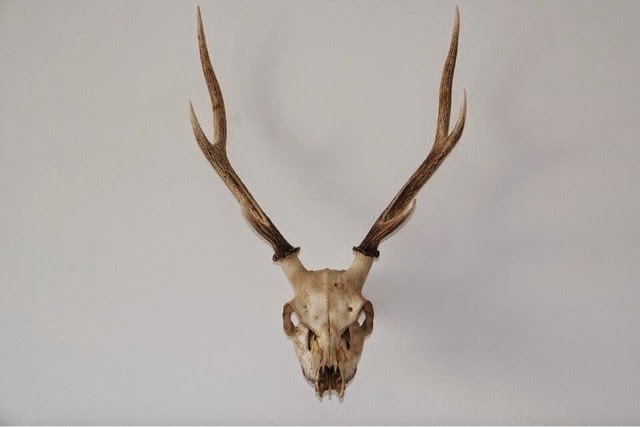 One of my good friends surprised me with this deer skull as a birthday present and it is honestly now one of my most prized possessions. 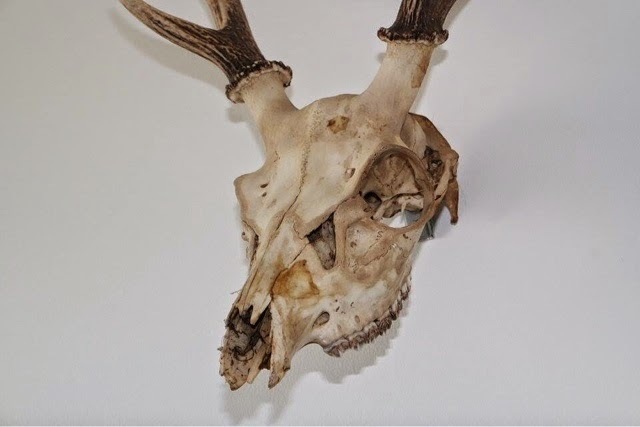 Anyone that knows me knows I have an unhealthy obsession with skulls. I don't know what it is but I find them fascinating. This bad boy definately needed to take his proud place on centre stage so is now the focus piece in the room. 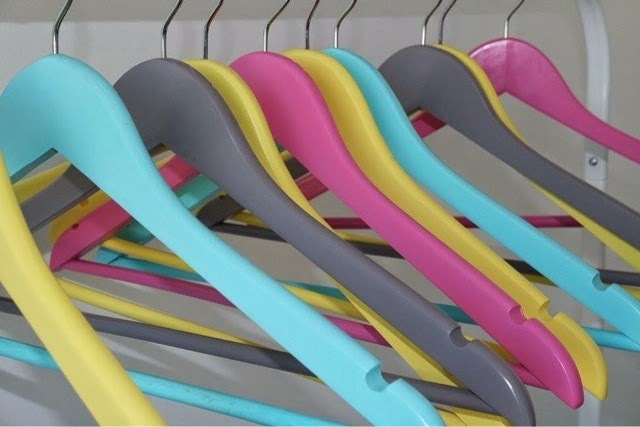 As I have almost everything in the room white, I thought I would add some sort of pop of colour and inject some pastels with my clothes hangers. I am a little OCD when it comes to hangers and hate when they are all not the same, I have to admit I even arranged them into colour code for this picture... I know, I'm sad. This woven lampshade is everything! When I saw it in the store, I wasn't so sure. The more I looked at it though, I knew I would regret it if I didn't bring it home. I brought it home,oped it up and fell instantly in love. At night, it's even better as it creates a textured light effect on the walls giving you the feeling of being in a giant basket .... Something to that effect anyway. 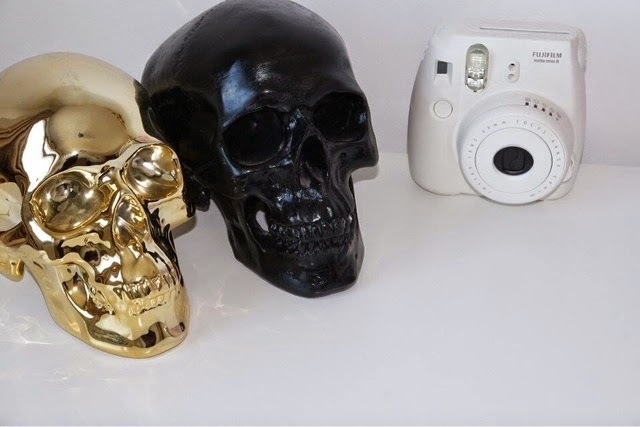 On the shelving, I of course need my skull head money boxes. I don't know if anyone else is the same, but I hate coppers and small change in my purse so these guys look after my needs and take the burden off of me. These I got in Urban Outfitters. 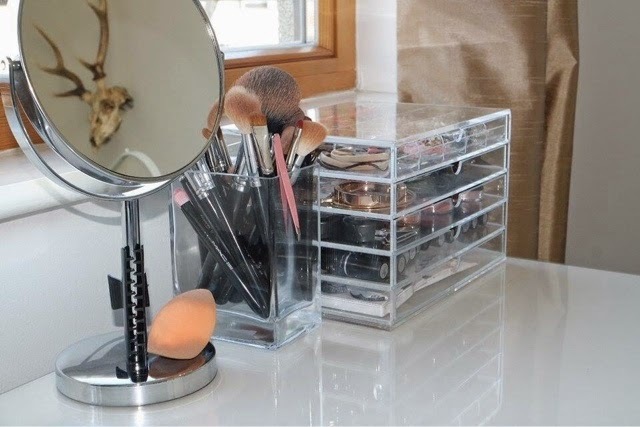 On my desk I have my Muji acryllic drawers for my earrings, jewellery, lipsticks and lip glosses. 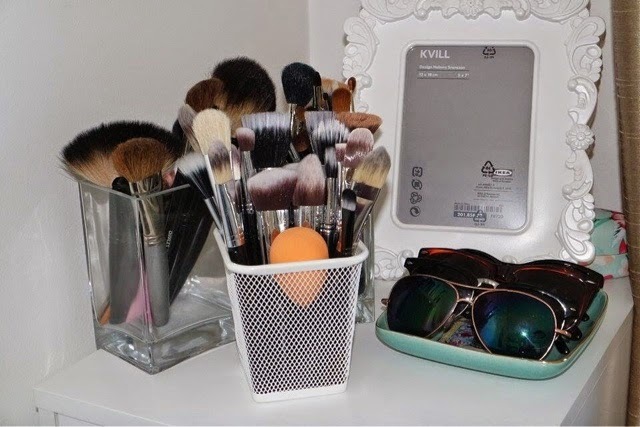 Here I also keep my everyday makeup brushes in a glass vase and my magnifying mirror to do all my makeup. 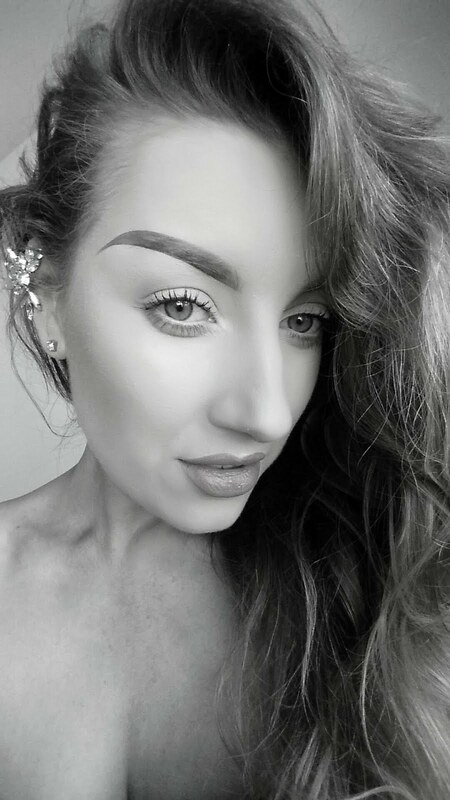 Up on my Alex drawers, I have my excess brushes that don't really get used that much, a picture frame that desperately needs a photograph inside and my latest sunnie faves that I am desperately dying to wear when we get a bit of sun here in Dublin. 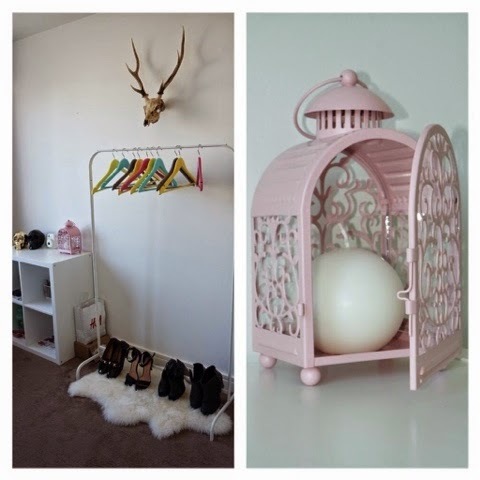 That's everything for my mini room makeover.